The enigmatic Brian Sumers interviewed Emirates CEO Tim Clark who revealed to him that the airline plans to launch a premium economy cabin. Historically Emirates hasn’t been much for updating planes, they’re still most of their Boeing 777 fleet with outdated angled business class seats, and Boeing 777s make up the majority of their fleet. Emirates moves slowly on many of their investments and premium economy is included in that. The market for premium, though, has grown substantially and recent entrant to that space American Airlines says they’re generating twice the coach fare for customers bumping up. Clark though has long been concerned about trading down, a phenomenon that American says has not been substantial. 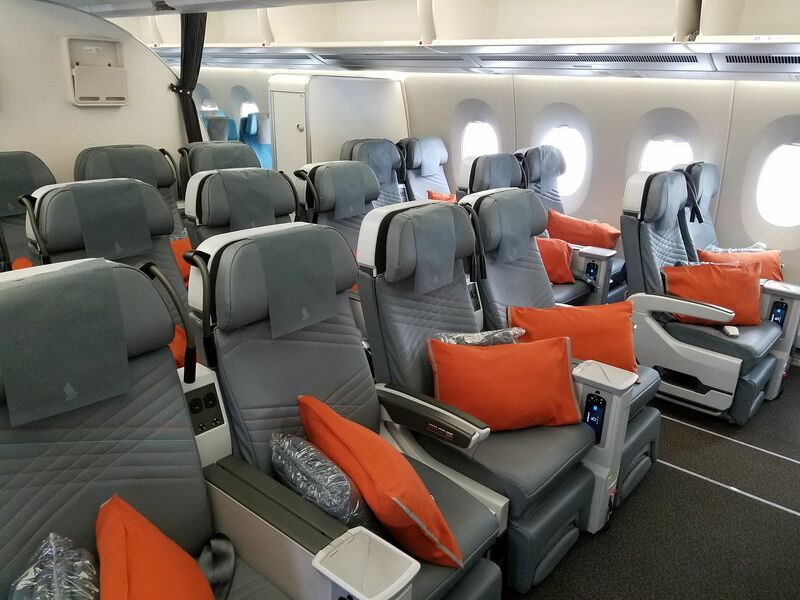 In general premium economy is similar to domestic US first class – wider seats with a bit more legroom – and adding a foot bar (in down scale product offerings) or foot rest. There’s usually upgraded catering and amenities as well. Emirates hasn’t said what their premium economy will entail — though “he hinted they could be more opulent than what some competitors fly.” However they want to make sure premium economy isn’t too nice because they don’t want it to be viewed as a ‘good enough’ alternative to pricier business class. Emirates 777 business is pretty lousy. If they put in a PE cabin on the 777 I suspect it will cut into people who would otherwise travel in business. I would be very tempted to consider it. They do have more of a differentiation on the A380 though, with better seats and the onboard bar.